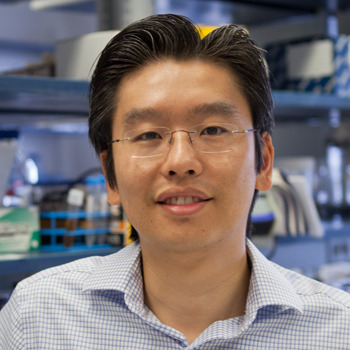 Harris Wang is an Assistant Professor in the Department of Systems Biology and Department of Pathology and Cell Biology at Columbia University Medical Center. He holds degrees from MIT (double B.S. in Physics & Math) and Harvard (Ph.D. in Biophysics & Medical Engineering Medical Physics). Dr. Wang’s numerous accolades include PECASE, BWF PATH, ONR YIP, Sloan Research Fellowship, NSF CAREER, NIH Early Independence Award, Wyss Tech. Dev. Fellowship, NSF GRF, NDSEGF, Collegiate Inventors Competition Winner and Forbes Magazine’s 30 Under 30 in Science.